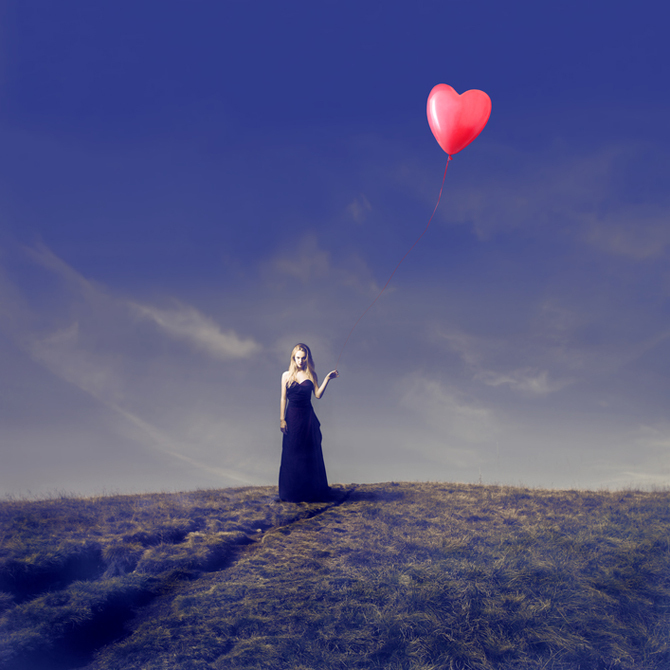 Is There Any Truth to "If You Love Someone Let Them Go"? Is There Any Truth to “If You Love Someone Let Them Go”? There’s an old adage about how if you love something, you may have to set it free. If it comes back, it’s your for sure, but if it doesn’t return, it never was. We typically apply this to people and relationships, and your friends and family might use this cliche if they’re trying to make you feel better about a difficult time in your relationship. But is there any truth to it? Sometimes, taking a break from someone or something reminds you how much it means to you, and that’s why “if you love someone let them go” does sometimes make sense. If you and your man are meant to be, you might return with renewed energy to work on your relationship because you can’t live without one another. Check out this post if you want to make him miss you. However, letting someone go might also show the two of you that you’re able to live without one another – and this might not even be a bad thing! Many people would argue there’s no better reason to let someone go than because they weren’t able to remain faithful, especially if you share kids, a house and other elements of your life. If you’ve made sacred marriage vows that your husband didn’t keep, no one would fault you for considering letting him go. In fact, this might be the best course of action to provide your kids, if you have them, with a life that’s stable and not full of Mom and Dad arguing. In this case, letting him go will probably look like divorce or separation. While we don’t think that long-distance relationships – more on those here – are necessarily impossible, they are difficult. Not every relationship can stand up to the time and space, especially if it’s a fledgling relationship or you’re not all that smitten with each other. Check out this article to tell if you’re really in love or not. Whether your beau is spending a semester or a year in another country for his studies or his job (or yours) sends him/you abroad, the two of you may need to reconsider whether your relationship has long-term potential. Being tied down to someone at home can really make it difficult to enjoy all the thrills that life has to offer. Sometimes the timing just isn’t right, and you’ll need to let each other go. Even if you’re in love, your boyfriend might not feel like the relationship is working for him – and it might not even be your fault. Perhaps stress at work or different schedules make it difficult for you to spend time together and become more connected, or he may have a lot to do with his own family and friends that prevents him from dedicating the time that the relationship needs. On the other hand, the relationship might not meet his needs right now, especially if he’s dealing with anxiety or depression, or if you’ve got your own issues going on. There are as many reasons to break up as there are couples, and it’s not easy, even if you’re the one initiating the breakup. We do have some advice for that in this post. Read this article if you’re wondering whether breaking up is a good idea. Regardless, you’ll have to let him go – at least for now and perhaps forever. Breaking up is definitely hard, and these quotes or this advice might help. In some cases, you may be able to reconcile, and being able to show your ex that you’re okay on your own is definitely important to getting him back. But learning to let him go will benefit you in the long run no matter what happens. If you really love someone, you’ll want what’s best for them, even if it’s not what’s best for you or if it’s difficult to provide it. After all, you wouldn’t want to be the one thing that stands in the way of your partner seeing his dream realized, would you? An important factor in letting someone go is the idea that you can live happily and healthily without them, and that you’re not just waiting for them to return to you. Being able to truly let someone go is good for your own sanity, and it may serve to make you more attractive to the person your heart most desires. However, it’s essential that you’re not going through the motions without truly letting this person go. It can be easier to let someone go if you realize that you can never be certain what the future holds. This might be scary, but it also means that you’re never able to imagine how surprising and positive life can be! After all, some of the best things that happened to you might have appeared out of the blue! What If They Do Come Back? It can be difficult to let someone go only to have them come back again, too. If you’ve gone through the hurt and grieving process of losing a person, especially if you thought you’d never see him again, suddenly finding him back in your life can be overwhelming, even if you’re ultimately glad for the reunion. It’s okay for you to feel and express those emotions in a healthy way, but you’ll have to move past them if you eventually want to be back together. If you want things to work out, you’ll have to get over any negative feelings you’ve had around letting him and the relationship go to begin with. This is often easier said than done, and it’s one reason why couples often aren’t able to move beyond cheating. However, if you’re able so successfully communicate, forgive and move forward together, your relationship might be stronger than ever because of it. However, those cases are more often the exception than the norm, and you can’t expect that letting someone go will always bring them back to you. In fact, the opposite might happen, but it might leave room for something even better to enter your life! Whether you’re open for someone to return or not totally depends on the situation, and you may want to leave that door slightly ajar, but you should know when to slam it in the face of someone who constantly disrespects you!